The weather here in Canada is bizzard now. It's hard to find a day like this that I can take off my coat and snap some pictures. Although I looked really strange taking pictures on the street, I was still happy to have this post done. I've wanted this jacket for a long time but it was sold out in Zara so when I found it on ebay I was so thrilled! I pulled together a whole leather look and I liked how it turned out. Hope you like it too! What has surprised me most, though, is their durability. I worn them pretty much daily for the last month, they support me very well. 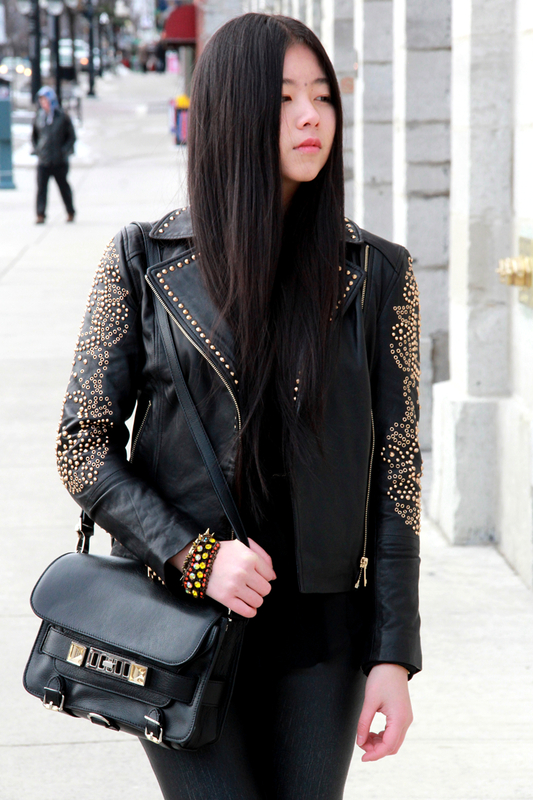 These are my all time favorite leather jackets! What good looking jackets in www.cwmalls.com, and works in various situations.